SPG Amex Closes to New Applicants Today: Should You Apply Now? Two important things happen tomorrow regarding the Starwood Preferred Guest Credit Card from American Express (Learn More). It closes to new applications forever at the today, Feb 12th. You will never be able to apply for this card again. Those who have the card now or have been approved by the end of February 12th will see the card renamed to the Marriott Bonvoy American Express Card. The Welcome Bonus on this card hasn’t changed in a while and is 75,000 bonus Marriott Bonvoy points when you spend $3,000 in 3 months. This card has a $95 annual fee, waived the first year, and earns 2x Marriott Bonvoy points per dollar on non-Marriott purchases (6x at Marriott). When the card changeover is complete on the 13th, you’ll be able register to earn 25,000 bonus points when you spend $25,000 – up to 4x by the end of 2019. Quick math: This card used to earn 1x SPG point per dollar spent. When SPG became Marriott, all points converted at 3x. But the card now earns 2x per dollar. Yes, just 2/3 as much. But this bonus offer, through 2019, means you can still get the “old” earn rate as long as you spend in multiples of $25,000 (up to 4 times). The Starwood Preferred Guest Credit Card from American Express (Learn More) will also continue to come with an annual certificate (at renewal) for use at a property up to at Category 5 / 35,000 points a night award. And, like all other Marriott credit cards, it will grant you 15 elite nights a year (and Silver status), though you can only get this once so if you have any Chase Marriott card, like the Marriott Rewards Premier Plus Credit Card, this won’t be relevant. Should you get the Starwood Preferred Guest Credit Card from American Express (Learn More) while you can? If you have or have *ever had* this same card before, you are not eligible for the welcome bonus offer. If you have or have had in the last 30 days ANY of the Chase Marriott credit cards, you are not eligible. If you are 5/24 and can’t get the Marriott Rewards Premier Plus Credit Card anyway but have never had this card, it’s probably worth picking up the Starwood Preferred Guest Credit Card from American Express (Learn More). The next concern is naturally about the FOMO of never being able to get this card. It does appear that there will be a backdoor into this card, which will be a downgrade from the SPG Luxury American Express card which will become the Bonvoy Brilliant card. That said, you’d need to apply and be approved for that card, which comes with a $450 annual fee, and wait a year to downgrade. This is the only one of the Marriott earning cards that will (sort of, as described above) be able to earn 3x Marriott points per dollar spent. But that is limited to four tranches of $25,000 and may not be extended into 2020. This alone is not a bad reason to hold the card. With an annual of $95, you get a free night worth up to 35,000 points. In general, you should be able to net out a minimum of $200-$250 on this “free” night meaning a $105 and up expected profit from paying the fee. And getting this card won’t block you from the…. 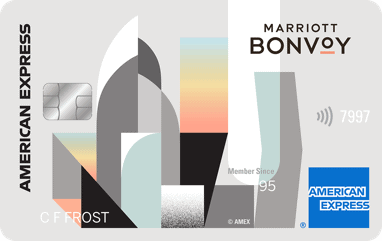 From February 13 to April 24, 2019, the Marriott Bonvoy Brilliant American Express Card and Marriott Bonvoy Business American Express Card will offer 100,000 Marriott Bonvoy points after spending $5,000 in three months. While holding the Starwood Preferred Guest Credit Card from American Express (Learn More) will prevent you from getting the Marriott Rewards Premier Plus Credit Card, it will not prevent you from getting either of these enriched offers. This card is a completely separate product and you can hold all three and receive the welcome offer on each. From a timing perspective, it’s worth bearing in mind that effective March 5th, top tier Marriott properties will increase from 60,000 to 85,000 points a night (and eventually, to 100,000 points per night). But you can reserve them now using Points Advance and pay later. Were you to get this card now and then the other two during the 100,000 point offer periods, you would have enough for 5 nights in a top end property (240,000 points total) – with a Category 5 night to spare. This applies to resorts like the St Regis Bora Bora and St Regis Maldives (though the availability is tough to find!) and the Al Maha all-inclusive desert resort outside of Dubai as well as city properties like the Gritti Palace in Venice where rooms generally top 800 Euros a night. So should you apply for the Starwood Preferred Guest Credit Card from American Express (Learn More) now while you can? Only you can decide that – but I hope the information above helps you make the call! 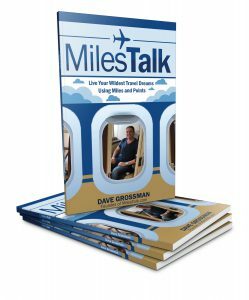 As always, if you use the “Learn More” links in this post to apply, MilesTalk may earn a commission from the issuer.